'The Grinch' climbs to second at the box office over the weekend. NEW YORK — On a typically sleepy post-Thanksgiving weekend in movie theaters, leftovers led the box office and Disney’s “Ralph Breaks the Internet” repeated as No. 1 with $25.8 million in ticket sales, according to studio estimates Sunday. The “Wreck-It Ralph” sequel dropped steeply – 54 percent – after nearly setting a Thanksgiving record last weekend. 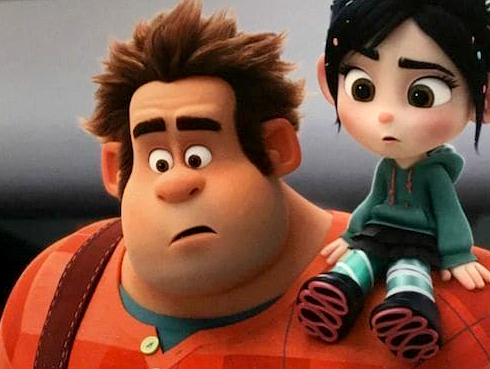 But with only one new film in wide release, nothing came close to “Ralph Breaks the Internet,” which sends John C. Reilly and Sarah Silverman’s video-game characters into cyberspace. In 11 days of release, the $175 million film has cleared $207 million worldwide. The week’s lone new wide release, the Sony Screen Gems horror film “The Possession of Hannah Grace,” opened modestly with $6.5 million.